Here’s a story of how solar panels in the Philippines has changed the lives of people. In an exclusive, private, gated subdivision in Muntinlupa, stands the 2-story house of Tita Beth. On a typical day, the appliances that the household runs includes a washing machine, dryer, a handful of aircons, television, fans, refrigerator, freezer, computer, and gadgets. Her monthly electric bill was approximately P25,000 two years ago. Beth was exhausted from having to always make sacrifices in her own home. She always had to be frugal and practical – in the spirit of maintaining affordable utility expenses. For decades, Beth made tipid and realized she deserves to just leave the aircon on. Guilt-free. Years ago, she even enrolled her household to go for the Peak off Peak (POP) plan with Meralco so she can get cheaper rates during late night in exchange for higher daytime rates. Laundry and vacuuming were scheduled during off-peak hours, but over the years, these have changed to mostly daytime. Beth discovered that in many parts of the world, people do not sacrifice power consumption. In fact, they produce it and consume it, and they do so without contributing to world pollution. So Beth studied, researched, made calls, canvassed, and finally chose Solaric, the king of rooftop solar and the ultimate masters in eradicating that high power bill. In 2016, when she noticed that the monthly electric bill was averaging Php25,000 during the summer heat, she knew it was time to go solar. After discussing a solar panel system with her husband, Beth realized that aside from saving money, they would be able to help protect the environment. It was a definite win-win investment. Using the sun to run all your appliances is a recent technological development and we guide our customers step by step on using solar: how to size properly, handle maintenance and Net metering permitting, how to manage the system, and more, so that the utility company will BUY the surplus power. Our solar engineers go through the electrical usage patterns and examine what appliances are used during daytime and nighttime hours, determine the power consumption, and identify how much solar energy your roof can generate using precise computations. From there, we can forecast solar impact on your electric bills with the desired solar panel system installation in mind. Beth contacted the recognized leader in rooftop solar and requested a site survey. The solar professionals and engineers went to her home, examined the property, roof, solar capacity, and its surrounding area. They then evaluated the solar project potential or capability. The solar experts analyzed Beth’s electric bills in recent months. They determined the most appropriate solar panel installation for her home. They then designed a solar system that could produce enough power to meet the home’s consumption or usage and sent her a detailed proposal. They went on to have the Solaric experts install a 5 kWp grid tie system of 20 solar panels on their roof. Two years later, after realizing the stream of steady savings and understanding the importance of a sustainable and renewable future, they decided to have another 30 panels installed. As of summer 2019, Beth has a 13 kWp grid tie system of 50 solar panels installed. “Hopefully, it will have a greater impact on the environment,” she mused. Now, what about the savings? This is usually the question that the satisfied Solaric clients love the most. What do you do with the savings? “All my savings go to my travel fund. That way, I have more money to shop when I travel,” Beth smiled. Beth was not just satisfied because of the savings or the environmental win. “I love the Solaric team! They’re very professional. Everything is on schedule. When I ask questions, I easily get answers from them. They explain everything to me – they explain in basic terms especially when I need them to break down to me about what is means in pesos!” She was happiest about the responsiveness of the Solaric team – which comprised the entire company, from the survey team to the installation crew to the ever-important aftersales customer support team. And that is how Solaric makes a difference. No one else can Turn On The Sun the way we do. At Solaric, we do not view our service of merely “selling solar panels” but rather enabling lifestyles and appealing to Filipino sensibilities of approachability, service and value. Before we give a quotation, we learn how you use energy. We determine the best ways to maximize your return on a hard-earned investment. We present different strategies to ensure that you achieve your solar goals. We want to ensure reduced expenses and increased savings so that you make that one-time wise business and environmental investment. We always do our best to deliver fast, efficient, and thorough customer service. We are in the business of not just selling solar panels – but also enabling solar-powered lifestyles. With this, we want to provide endless satisfaction by delivering Solaric Service Satisfaction, ranging from permanent reduction of electric bills to the ultimate ZERO bill. Solaric has established its name across the renewable industry as a proven and reputable rooftop solar leader. Backed by decades of experience, Solaric has installed more than 50% of residential rooftop solar in the Philippines and has delivered significant cost reductions in electricity expenses, as well as milestone contributions to a cleaner, greener, and renewable future. Solaric is now zoning in on corporate and industrial projects to offer them the same cost reductions. Solaric is the recognized leader in solar panel installations in the Philippines. The Solar panel installers and engineers of solaric are well-known troubleshooting experts. They work hard to ensure that solar panel systems run efficiently and seamlessly so that every single homeowner with rooftop solar can enjoy the benefits of clean and renewable power. Welcome to the new generation of solar and turning on the sun. Do you know anyone who is interested in installing rooftop solar? Help them out by sharing this article with them! 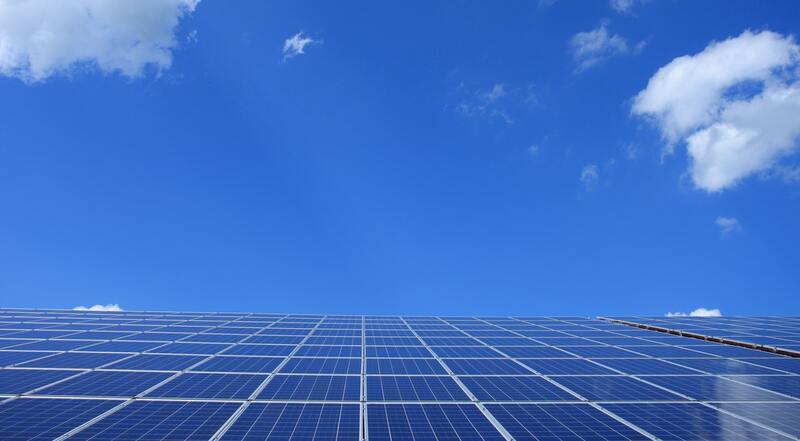 For more information on solar power systems and solar system installers and experts, click here. At Solaric, we Turn on the Sun.